Call our professional roofers to properly care for your Concord home. A roof protects your home from wind, rain, sun, snow, and more. It is a very important part of your home, but is frequently neglected until serious problems arise. 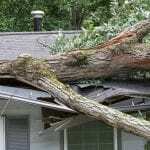 Don’t wait until there is already serious damage caused to your roof and home in Concord, North Carolina. At JM Reynolds Builders, LLC, our professional roofers provide many different services, from roof repair to roof installation. We also install and repair gutters. It is best to have your roof and gutters evaluated on a regular basis, so we can identify any issues at the earliest stage possible. 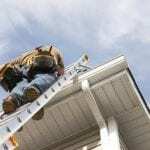 Some homeowners may try to save money by fixing their own roof; however, we highly discourage this for several reasons. One major concern is safety. Another problem with trying to fix it yourself is the high expense of potential damage that could be caused to your home. Our professional roofers have specific insurance and warranties associated with the work we do that protect the workers, as well as your home. At JM Reynolds Builders, LLC, we have twenty years of experience as professional roofers. We have honed our skills and focused on very specific jobs, so we can provide high-quality services at affordable prices. The materials we use are some of the best for protecting your home. We have a well-trained team of workers who each take pride in their work. We love what we do and work hard to provide excellent services to our customers. At JM Reynolds Builders, LLC, our professional roofers proudly serve Concord, Kannapolis, Charlotte, Salisbury, Mooresville, Huntersville, Granite, Quarry, Davidson, and Paw Creek, North Carolina.